The word Sankofa (san = “to return”) + (ko = “to go”) + (fa = “to look, to seek and take”) originates from the Akan tribe from West Africa. 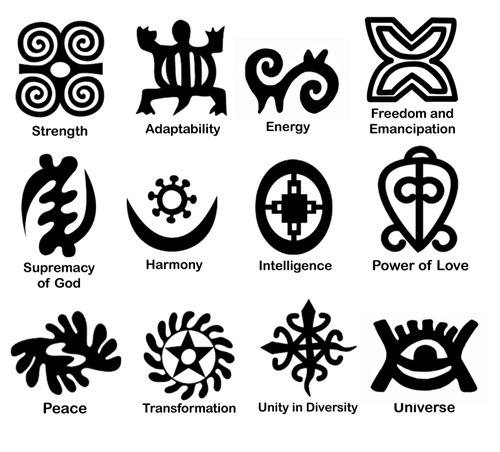 They had a rich ancient and cultural heritage represented by the extensive use of pictorial symbolism in a writing system called Adinkra. The application of Sankofa in the training of Executive Functioning Skills is twofold: firstly, it reaches to the Social-Emotional Strand by allowing the person time to retrace steps into the past and gather experiences from there, albeit positive or negative; and secondly, it develops Metacognition by enhancing the ‘thinking about thinking’ aspect which focuses one’s attention on why decisions and actions were made, what consequences resulted from those decisions and actions and if the original action should be repeated or changed. Here’s the key however: in order for Sankofa to be successful, the educator needs to loan their Pre-Frontal Cortex to the student. It would be unreasonable for an educator to expect an emotionally-ridden student to be able to reflect, vocalize, change, and deepen their understanding of themselves and the community affected by their actions WITHOUT providing a structure through guidance and ground rules. Generally for schools, it is our suggestion that quiet spaces for every grade consist of two Sankofa categories. The first Sankofa room engages one in stream of consciousness reflection utilizing soothing colored window blinds (if the room had windows), floor lamps, a cafe table with 2 chairs, a floor rocker chair, a book shelf with variety of art materials/books, music books, drawing and/or doodling paper, open reflection sheets, a wall clock that ticks loudly, and a lava lamp. This type of Sankofa room would be for those students (and adults) who need to be one with themselves, who need time for silence and non-academic breaks. The length of time inside these rooms maxes out at 30 minutes to maintain optimal effectivity and should only be used to enhance the spiritual and expressive metacognition of Executive Functioning. For example, a student who comes to school feeling agitated/overwhelmed from a situation that occurred prior to the beginning of the day would benefit from before starting their first class. This room would allow him to decompress and release the experiences that prevent him from being an active member of the school community. Additionally, students returning to home environments that are unpredictable may benefit from time in this room prior to returning home at the end of the day. This experience would enable her to reflect on the positive parts of the school day and what aspects of her life she is able to control. The second Sakofa room type requires more ‘padding’ emotionally and spiritually. This type of room is needed by students who become quickly overstimulated, require breaks from tabletop activities, demonstrate fight-flight difficulty during transitions, and require timed schedules (e.g. 15 minutes of work, up to 15 minutes of an academic break). These spaces foster non-threatening predictable reflection utilizing a dark tint on the window (to dim the outside environment from the student’s immediate line of sight and provide calm), tinted overhead lights (covered by blue or green fabric), piped in music (e.g Music to DeStress or Peaceful Baby by Sound Health Series) from a source easily seen by the student but not easily accessible, oversized bean bags, weighted blankets, a silent wall clock with big, easy to read numbers, a location for a timer that is similarly located to the music source, and a static-free, short trimmed carpet with the opposite color of the overhead light fabric (e.g. if the overhead lights were covered in sky blue fabric, the carpet would be tree leaves green). The purpose of this room is to completely feel safe from the outside world. It provides students with the liberty to have a complete ‘melt-down,’ which means releasing the mind by freeing the body (e.g. crawling into the bean bags and covering oneself with the weighted blanket). The length of time inside these rooms maxes at 30 minutes to maintain optimal effectivity and should only be used to support the Social-Emotional Health of the students/staff Executive Functioning. For example, a student who is able to tolerate less than 30 minutes of an academic class before acting out verbally or physically would benefit from this room. This space would allow the student to decompress before reaching a point of overstimulation or frustration or express the frustration she already feels from struggling in a particular subject. Additionally, this room would be the safe space for students whose tendency is to respond in an aggressive way when disagreements arise between peers. The calm soothing and solitary environment would disrupt the disrupt the aggressive mindset by taking the student’s attention away from the cause of the aggressive response. Afterward, the student would be cognitively able to reflect and plan for ways of coping with future difficult situations. The concrete pattern of vocalized, verbalized and written reflections however will happen only AFTER spending time in the rooms, not before, not during. The Mind operates best when it is given enough space and opportunity to just be. After this habit loop is developed (30 minutes of Sankofa, then followed by one-on-one time with the Dean of Students or Counselor) and the lending of the Adult Pre-Frontal Cortex is successful. This will take time and practice, as the one-on-one time will entail discussion of the Re* family with the respective students…we will discuss this further in part two of this series.